Over the labor day weekend, a close friend, Gord Baxter and I crossed the country to attend the annual Homecoming at the Van’s Aircraft factory. 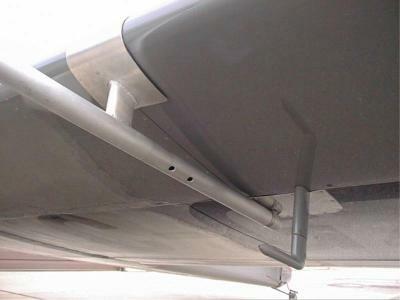 While there, we met and talked to Mark Todd who has installed a set of vortex generators (VG’s) on his RV-4. Mark is an enthusiastic supporter of VG’s and the benefits that they provide. Performance enhancements such as lower stall speed, clean break at stall, and better aileron authority at slow speeds. The idea of installing VG’s for myself didn’t occur until Larry Vetterman called me several weeks later. Larry retired from flying and running a flight department, to build his high quality exhaust systems fulltime. Larry has many thousands of hours of flight time in PA-18 Super Cubs with VG’s attached. 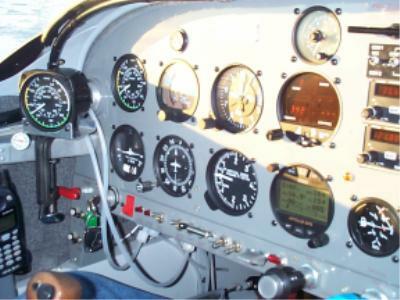 He saw the great improvements that they provided in the slow flight regime and has just installed them on his own RV-4. Larry was impressed enough with the increased performance that he acquired the rights to the VG kits designed by Paul Robertson of Aeronautical Testing Services Inc. and wanted me to give them a try. Of course I accepted and started to think of how I could actually measure the performance differences that VG’s are reported to change. I was most concerned about recording actual stall speeds. 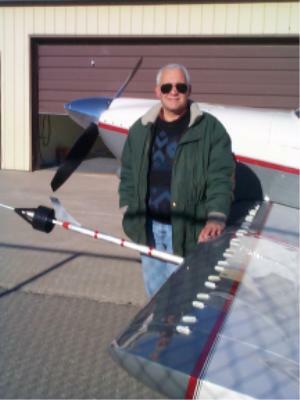 Peter Hanna, a fellow RV-6 builder, had a swivel pitot head on a long boom that he was willing to lend me. Some slight modifications allowed me to mount the assembly to my wing without making any permanent changes or causing any damage. Gary Wolf of Wolf Heritage Metalworks Inc did some fine welding to ensure nothing would come undone. I flew several test flights and spent a great deal of time calibrating the airspeed indicator using three GPS ground tracks and GPS ground speed readouts as per Kevin Horton's page. I focused a digital Camcorder on the airspeed indicator with an intercom feed. Watching a 27" big airspeed indicator on my TV with a SVHS output makes determining airspeeds easy. I was dismayed to see the large non-linear error at the very slow speeds that I was planning on flying. The ASI was extremely accurate at all speeds above 100 knots but was reading almost 6 knots fast at 49-50 knots. I prepared the VG’s for a temporary installation and waited for a good flying day. I had done all the airspeed calibration tests at 8000’ pressure altitude and I wanted to do all the remaining flights in the same conditions. On November 30, 2000, I was able to perform top speed and stall tests without and with the VG’s installed. Initial results pointed to a decrease in stall of about 6 knots and a decrease in top speed of 3 knots. I still wasn’t happy with my ASI, so I installed another brand new one in parallel with the panel mounted instrument. More calibrating determined that the new ASI indicated 2.5 knots low at 150 knots and 2 knots high at 50 knots. I also discovered that with the VG;s installed, I wasn’t able to achieve a clean stall with the aircraft at the forward limits of the C of G. Of course that meant running all the flight test components again. 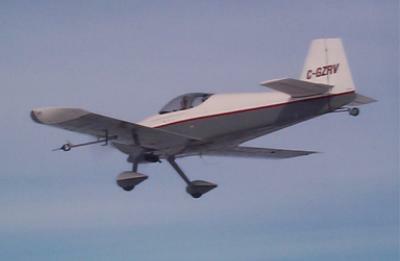 On December 23, 2000, weather conditions were finally good enough to try some flying. A steel plate at 45 pounds strapped onto the baggage floor placed the C of G at 72.68 aft of datum, 12.68 aft of the leading edge and 21.1% of chord. Gross weight at takeoff was 1600 pounds. I was able to get clean stalls and the ensuing break by moving the C of G aft. I performed all the stall tests with the video camera focused on the new airspeed indicator. Three US gallons of fuel (18 pounds) were burned to reach the practice area. All normal loading stalls were completed from a starting speed of 70 knots and power off, ball centered, and altitude maintained. Conditions were 8000’ pressure altitude and -15C. The accelerated stalls were entered from 90 knots in a 60-degree bank turning left. Three stalls were done in each configuration and the odd number was tossed out. detected when the stalls were completed with the VG’s removed. I think this relates to the major trim change that I noticed upon installing the VG’s. I fortunately had devised an adjustable trim tab on the under side of the right aileron many moons ago and was able to adjust for trim neutral, wings level flight. There is obviously something wrong in the rigging that is accentuated by the VG’s. The original tests I ran showed better numbers with flaps and VG’s installed. I suspect that was due to the fact that I couldn’t get a clean stall with the elevator authority I had at the C of G I was flying at resulting in a descending flight path at a lower number. The top end speed runs were re-done just before removal and my original findings were verified. Following is the table of airspeeds. Conditions were 8000’ pressure altitude, -15C, 9.4 US gallons fuel flow, 23.5” MP and 2400 RPM. An interesting observation was made concerning angle of attack. I recalibrated the AOA indicator due to a memory lapse I had. I had forgot that the longerons are not parallel to the chord line. I adjusted the AOA markings and found that the clean wing stalls at approximately 19 degrees and the VG wing stalls at something greater than 20.5 degrees. The indicator would bottom (top?) out just before the stall. I think that this is why I haven’t seen much of a drop in landing speeds. 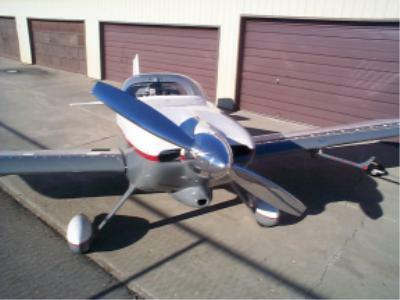 My RV-6 sits at about 12 degrees angle of attack in the three point attitude. 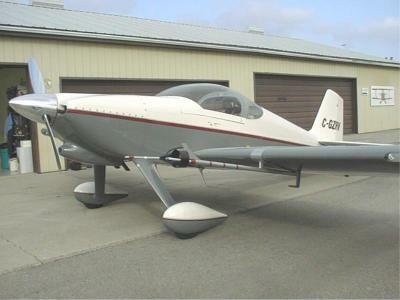 Any landing at 20 degrees or greater would put my tail wheel on the ground a long time before the main wheels. As far as the 19 degrees AOA without the VG’s, I thought that this wing should stall at about 17 degrees. Go figure! 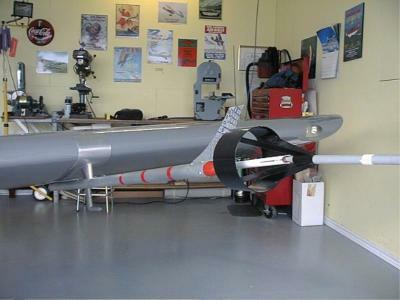 Keep in mind of course that these are findings for just one “homemade” airplane. I am somewhat dismayed that I didn’t achieve the results that RV-4’s seem to get. The somewhat shorter wing may account for some of the discrepancies.